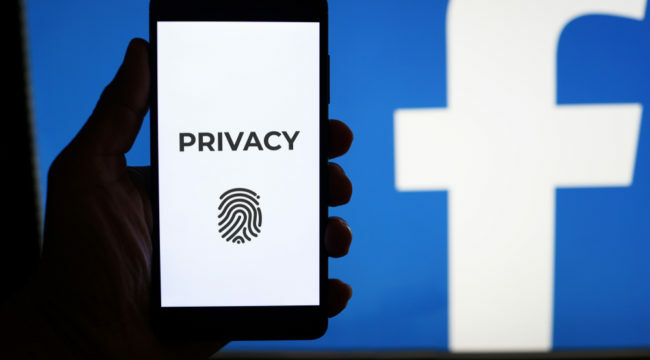 Has the recent Facebook data scandal got you a little paranoid about sharing information on the internet? I don’t blame you. After all, Facebook has access to some of your most personal information. I’m talking about every message you’ve ever sent or been sent, every contact in your phone and even access to your computer’s camera and microphones. Now would you like to get a lot more paranoid? I love the part about how Tenet says that while the CIA pays the bills, In-Q-Tel is still “independent.” That is so cute! Now, the way the venture capital business works is that the venture capitalist provides capital to a startup business that is in desperate need of that cash. There are great, revolutionary ideas out there that just need some cash to get them rolling. These early-stage investments put the venture capitalist in on the ground floor of operations with an extremely large amount of influence over the decisions made at the firm that the venture capitalist has invested in. What I’m trying to say is that the venture capitalist (in this case, the CIA) is going to be able to steer the future of these companies, how their technologies evolve and what they can be used for. With that in mind, you should be interested to know that one of In-Q-Tel’s early investments was in a company called Keyhole EarthViewer. In 2004, Keyhole EarthViewer was acquired by another little startup that you may have heard of — Google. At Google, the Keyhole EarthViewer technology that was born from CIA/In-Q-Tel funding was renamed Google Earth. Isn’t it good to know that the CIA and Google are on such close terms? Since it was founded, In-Q-Tel has made at least 167 investments that we are aware of.2 In-Q-Tel doesn’t disclose everything it invests in, but of the investments that have been disclosed, the focus of a large number of them has been data. “Data” again being a very hot word today given the Facebook controversy. As far back as 2005, The Washington Post reported that virtually any U.S. entrepreneur, inventor or research scientist working on ways to analyze data had probably received a phone call from In-Q-Tel or at least been Googled by its staff of technology watchers. One company that happened to be very hungry for startup capital in 2005 was Facebook. Facebook was launched in February 2004 from the Harvard dorm room of Mark Zuckerberg and friends. I’m also saying that at this very same time, In-Q-Tel was a company that was very, very interested in gathering the kind of data that Facebook would have to offer. I have not seen any evidence that In-Q-Tel made an investment in Facebook, but if I had In-Q-Tel’s connections at the time Facebook was searching for capital, I probably would have made a phone call to one young Mark Zuckerberg.